All properties (refs 27009, 27011 [Trinity]): Electric heaters, electric, bed linen and towels included. Travel cot. High-chair. Two satellite TVs. DVD. Electric cooker. Microwave. Shared laundry room. Dish washer. Fridge/Freezer. Wi-Fi. Shared conservatory/sun terrace. Roof top terrace. Shared games room with pool table. Ample parking. Welcome pack. No smoking. All on first floor: Living/dining room/kitchen with French doors and double sofa bed. 1 twin bedroom (can be 6ft double) with French doors. Bathroom with shower over bath and toilet. Holidays at St Lawrence, Beau Rivage run from Saturday to Saturday. For a better idea of where Beau Rivage - St Lawrence is, you can see Beau Rivage - St Lawrence on the map below. 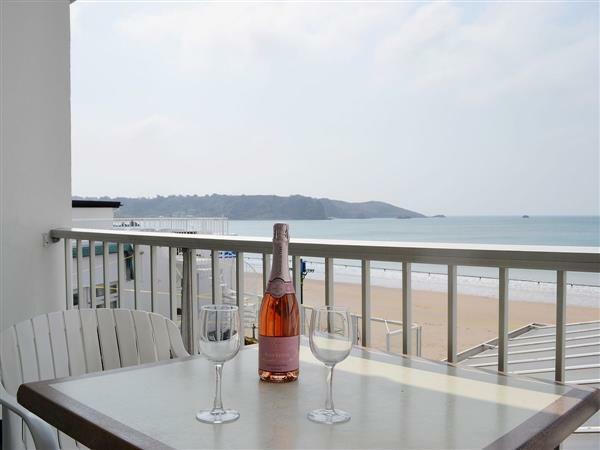 Do you want to holiday near Beau Rivage - St Lawrence (27009), you can see other cottages within 25 miles of Beau Rivage - St Lawrence; have a look to find your perfect holiday location.